you feel at the current time of casting. Black representing the void, the negative polarity not to be confused as bad or wrong. White representing the positive polarity, not to be confused as good or right. 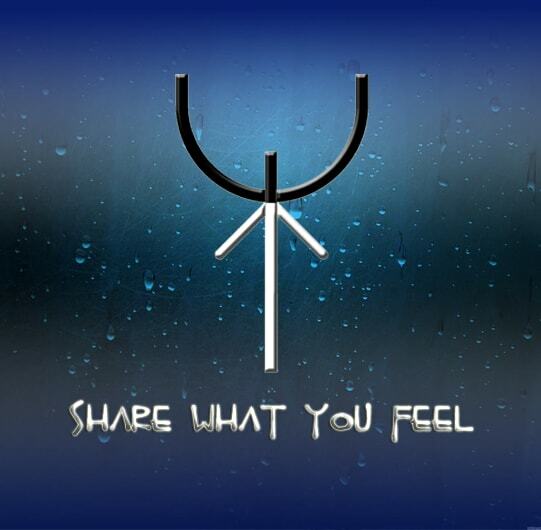 This sigil came to me in meditation just as the first and was spoke to me to be shared. Upon researching the definition of it means: In the spiritual element of a persons psyche, spirit, god, or diety. Transmission or electricity. This sigil is to be utilized as a means to transfer ones own energetic emotional state to another. As long as both souls visualize the same sigil in their mind prior to casting the initiation(meditation). Based on how you feel at that exact moment when you say this phrase and apply the sigil. That person will then take on this same mental and vibration state as you are in. For a limited time until they disperse the sigil in their mind. Why would you use this? You would use this to show each other what one is feeling, rather then assume or explain. If one party is in a deep loss or grief. You can both meditate on this sigil and send them love and happiness to assist them in transmuting that emotional state. You can use it to spread knowledge of something based on an experience that has no words, just feeling.